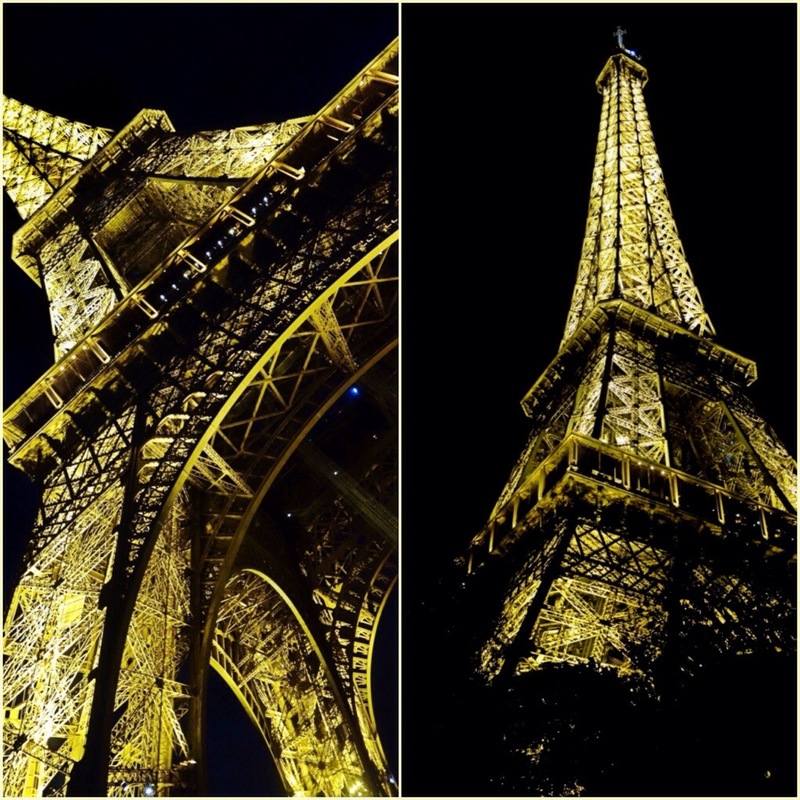 Mary in Paris: The Eiffel Tower – Where Did Mary Go? 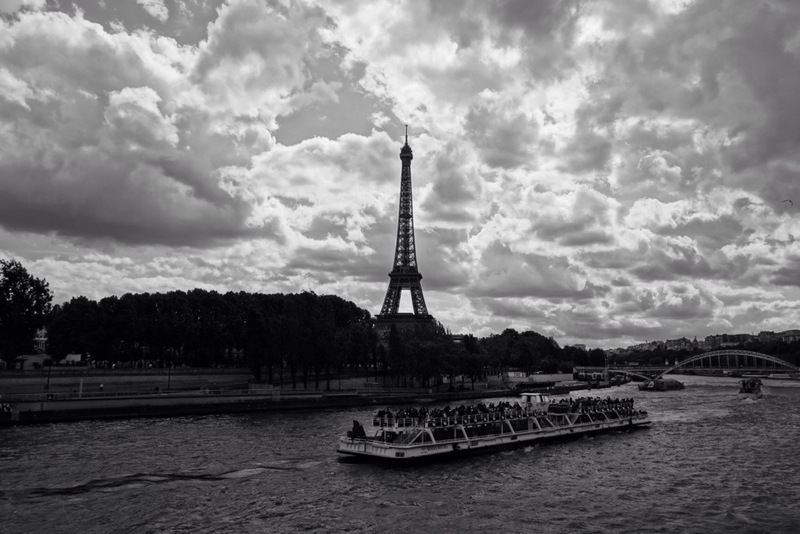 What is the one thing that comes to mind when you think of Paris? Must be the Eiffel Tower. That stunning iron lattice structure which is undoubtedly the symbol of romance and architectural artistry. 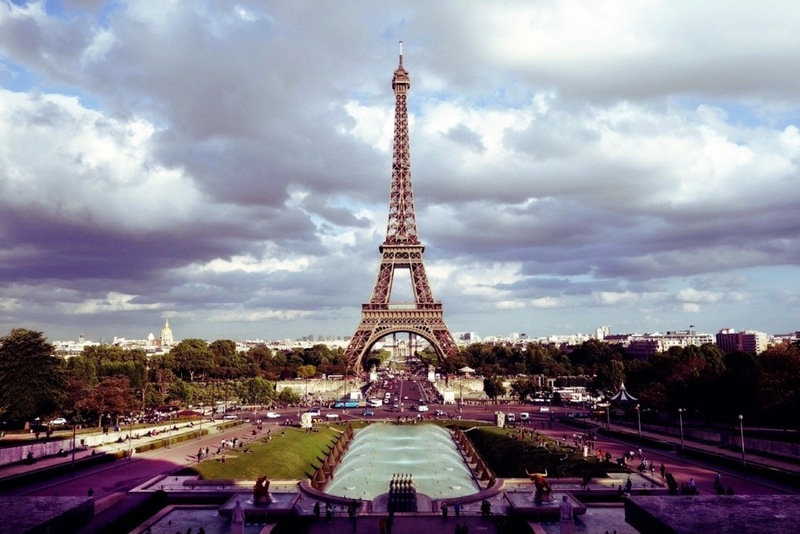 It is the one spot that cannot be missed on a girl’s first time in Paris. Am I right? After canceling what was to be three weeks in Paris with Andrew in order to come back to the US and help my mom with her recovery after thyroid surgery, I still knew at some point in the future I would get to Paris. It would always be there waiting for me. I just didn’t think I would be there so soon. As I was packing my bags in America, getting ready to fly back to England for one final month, I received a message from my father-in-law that sounded like this “Via Eurostar. You start in Stansted [UK]. May 9 – 12 sound good?” I had to read the message several times to fully grasp what it might mean. “To Paris? Absolutely! !” I replied. He then confirmed “Just leave it to your tour operator,” and I was left stunned from the conversation. Am I really going to Paris this year? Between that conversation and the actual weekend in May, there was a wedding, a funeral, a wedding party, visits to London & Cambridge, time with the nephews and neice, as well as countless other daily activities to keep me busy. 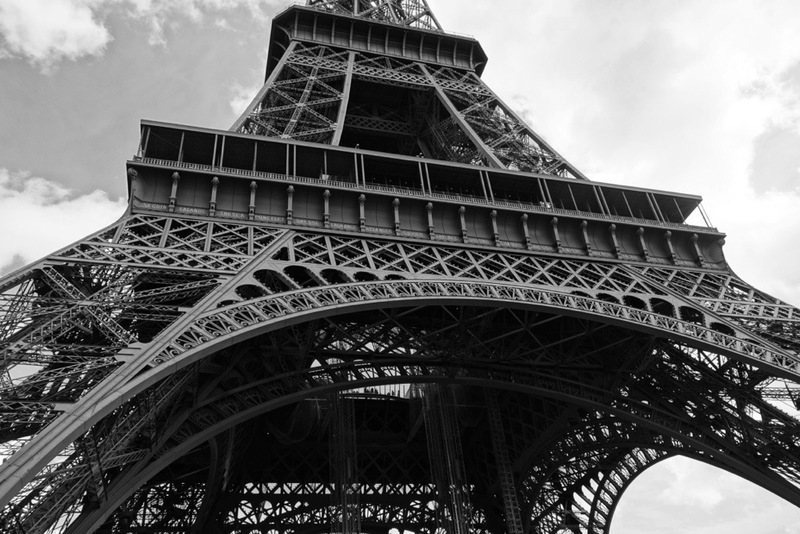 I didn’t think too much about Paris, and didn’t want to get wrapped up in the thought of stepping foot on Parisian soil in case something came up that prevented us from going. I’d rather not suffer the disappointment. The morning of May 9th came around and there was no denying I would be in Paris later that day with Andrew and his parents. Quite a fitting way to spend my last weekend in Europe for the foreseeable future, eh? After sleeping much of the drive from the Eurostar tunnel in Calais, I woke in time to battle Mr. D at a little game of ‘who can be the first to spot the Eiffel Tower,’ which appeared in the distance as we came around a bend in the motorway approaching Paris. I think he beat me by just a split second, but hey he’s done this countless times before and should be the one to win at this game! 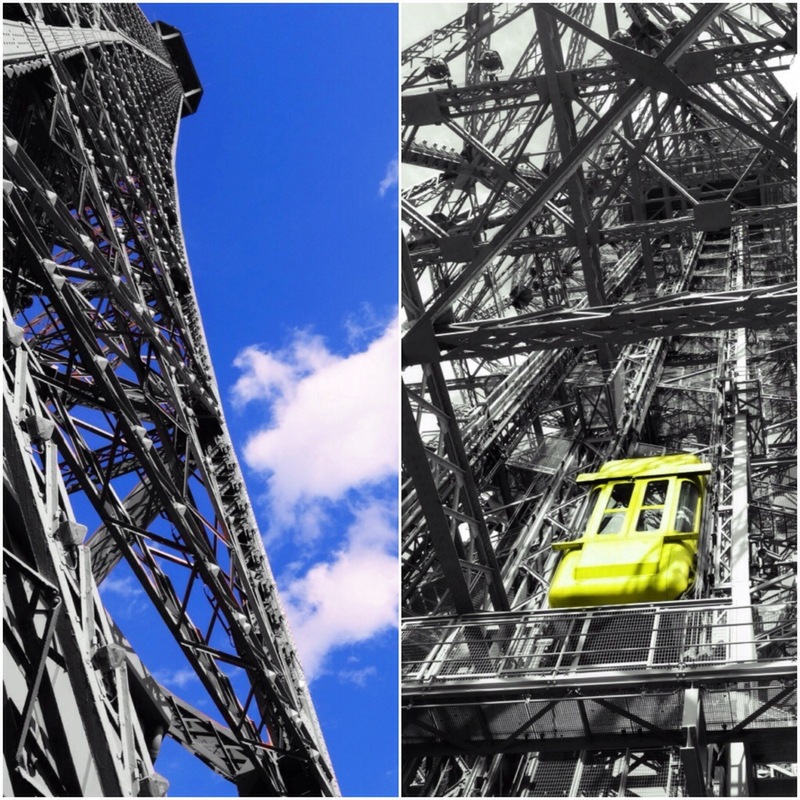 The four of us checked into our sweet little apartment just off the Champs-Élysées in the 8th arrondissement with not much time to spare for our first and very important activity in the City of Light…a visit to the Eiffel Tower. It is the most-visited paid monument in the world, after all, even though it was originally thought of as a useless eyesore by so many when it was proposed and subsequently completed by Gustave Eiffel and his engineering company in 1889. 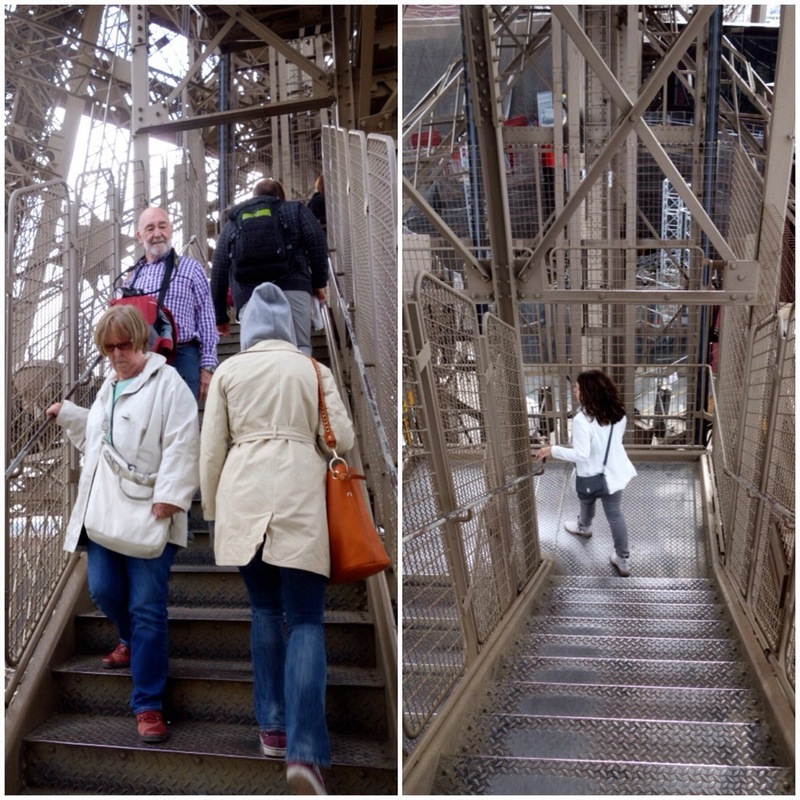 Leading up to our trip to Paris, Mr. D booked the four of us on a behind-the-scenes tour of the Tower. 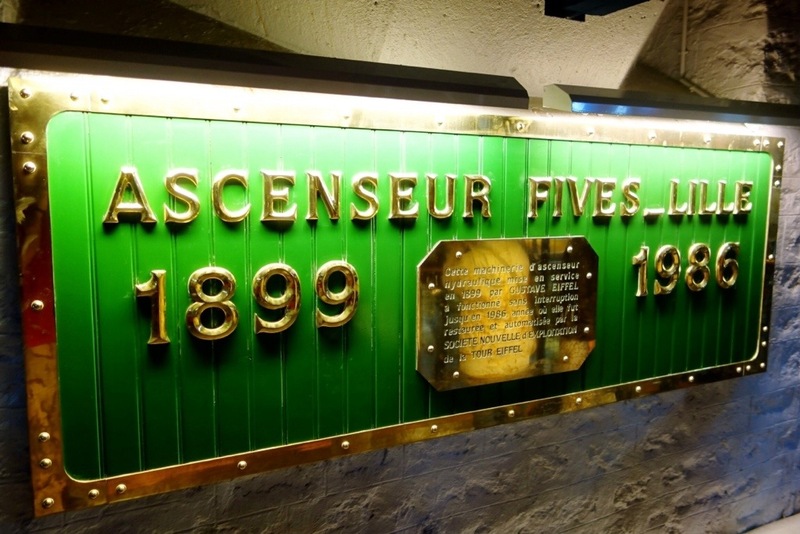 It would include a ride to the the 2nd Floor observation platform, a rooftop walk around a small area atop the Le Jules Verne restaurant housed in the Tower, and underground visits to a bunker as well as an area underneath a leg/base of the Tower which contains the incredible hydraulic machinery that operates the lifts ((elevators)). Our tour guide, Paul, was incredibly informative, accompanied by his own brand of wit which I enjoyed. He led us around the grounds, underground, and up into the Tower for about an hour and a half before leaving us to enjoy the view at the 2nd floor. If you have ever been to the 324 meter Eiffel Tower, you know the lines in and around it are always incredibly long. Since we were on a 1.5 hour behind-the-scenes tour, we were lucky enough to skip much of the lines and waiting, which was well worth the price of the tour ticket. The four of us decided to forego the long lines and admission ticket to the very top platform, or 3rd floor, of the Tower. We were told it can take an hour and a half wait each way just to get up and back, so we were content with the 2nd floor platform. It felt like we were incredibly high off the ground while up there and not far from the very top, but later looking at the Tower from afar, it seemed quite the opposite! The top is a good distance from the 2nd floor, and the 2nd floor didn’t look all that high off the ground from a distance. 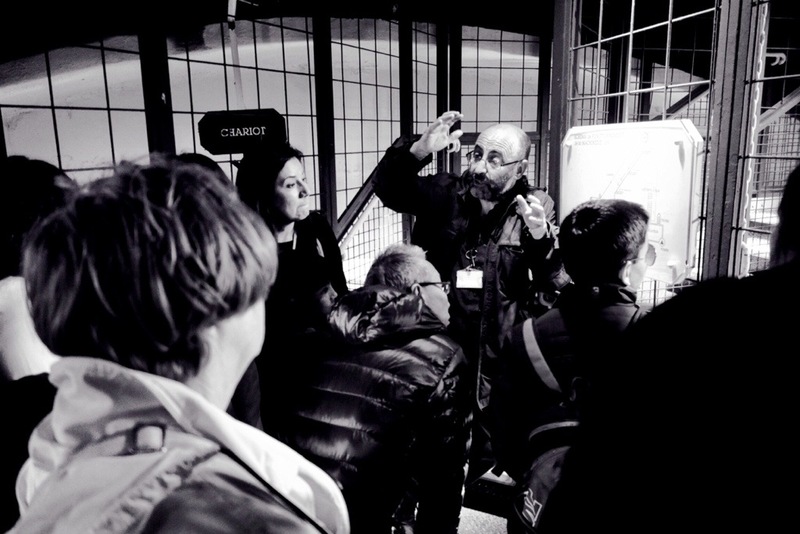 To be honest, I wasn’t overly taken away with the underground parts of the tour, although it was certainly interesting and unexpected and I would recommend choosing this tour as a way to visit the Eiffel Tower. As clearly as Paul explained how the machinery operates the lifts, it is too much engineering for my simple and non-engineering brain. What I loved about this tour was the view from the small rooftop of the restaurant, it felt like a secret area that only we had access to, as well as taking my time wandering around the 2nd floor platform. 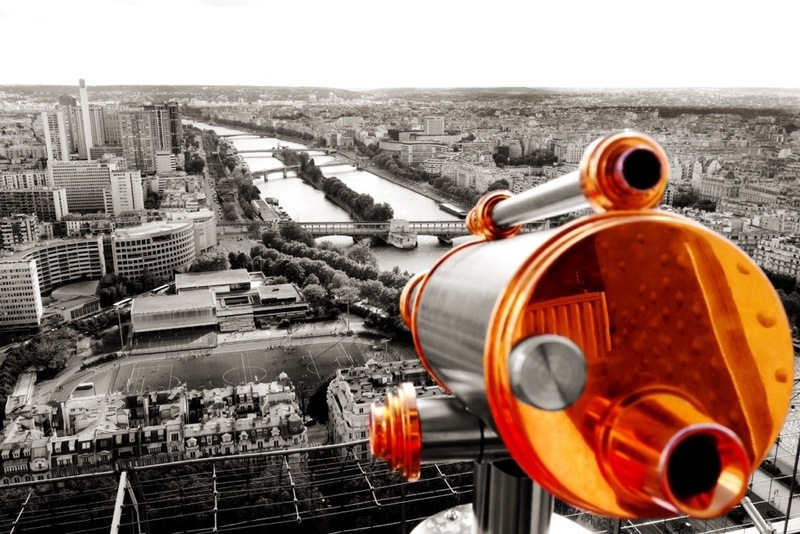 It is an absolutely stunning view of Paris, as you would imagine. 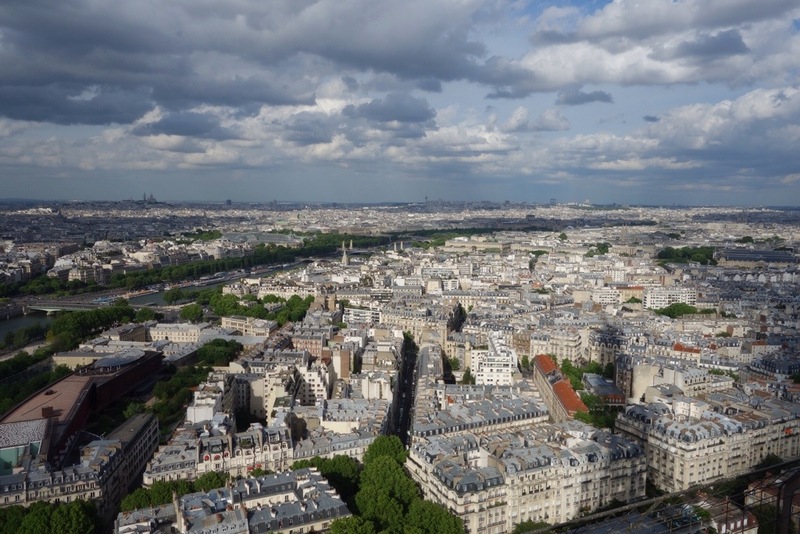 Even though the sky was somewhat cloudy, the sun was still present for much of that afternoon, and it would turn out to be our best & driest day in Paris. After millions of photographs and what felt like enough time at the Tower, the four of us decided we would head to a cafe in order to satisfy our growing hunger. We crossed the Pont d’léna towards the Jardins du Trocadéro, and took a million more photos from here, which could quite possibly be the best spot in Paris for Eiffel Tower photographs. 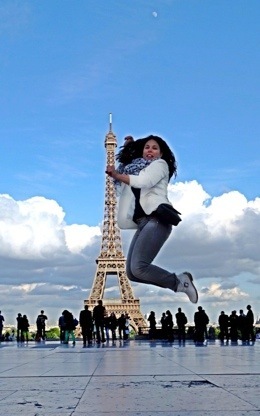 It was even the spot for my classic jumping photo – what can I say, I’m big in France. ^^ down the stairs we go! 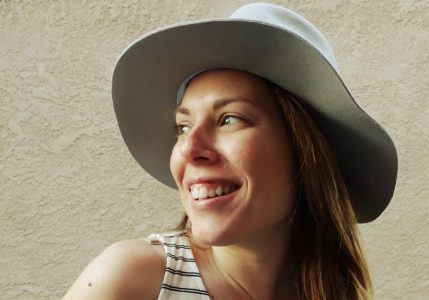 After dining at nearby Cafe Kléber for my first meal in Paris ((I had French Onion soup, baguette, lots of wine, and nutella & banana crepes, obviously)), the sun began to set and the sky was turning a royal blue – my favorite time of day. 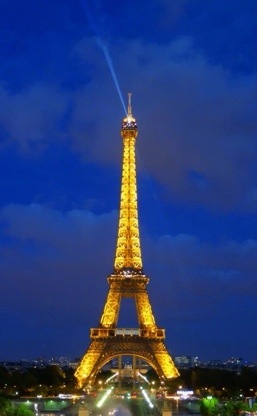 The four of us walked back over towards Trocadéro for night time photos of the Eiffel Tower. The iconic structure was just as breathtaking at night as it is during the day. 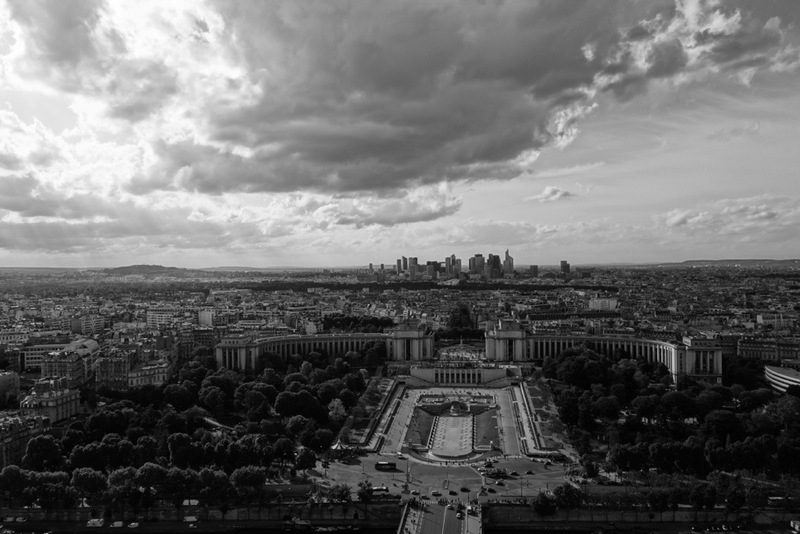 No sooner did we arrive back at the Palais de Chaillot ((the complex overlooking the gardens and Eiffel Tower)), did the Tower begin to sparkle with white blinking lights as we stood there with so many other visitors to the famous city. The crowd gasped and cheered. Yes I had a carafe of rosé with dinner and was feeling happy from that, but I couldn’t hold back the emotion of seeing this magnificent symbol in the city I longed to visit for so many years. It was a moment that I will always remember. One of those moments when everything around you stops and you aren’t sure if you are breathing or if it is real life because it is so astounding that it genuinely hurts. I am truly here right now, I thought. And it felt completely and utterly magnificent. 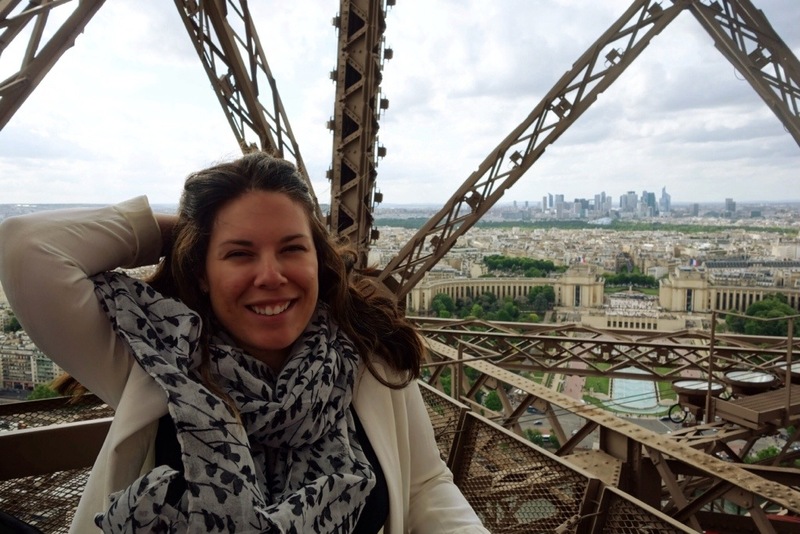 No first visit to Paris is complete without going up into the Eiffel Tower. I highly recommend the behind-the-scenes tour, which is €22,90 for adults ((approximately $31)). Be sure to book in advance on the website! Once the tour is finished, you may spend as long as you like on the 2nd and 3rd floors of the Tower. 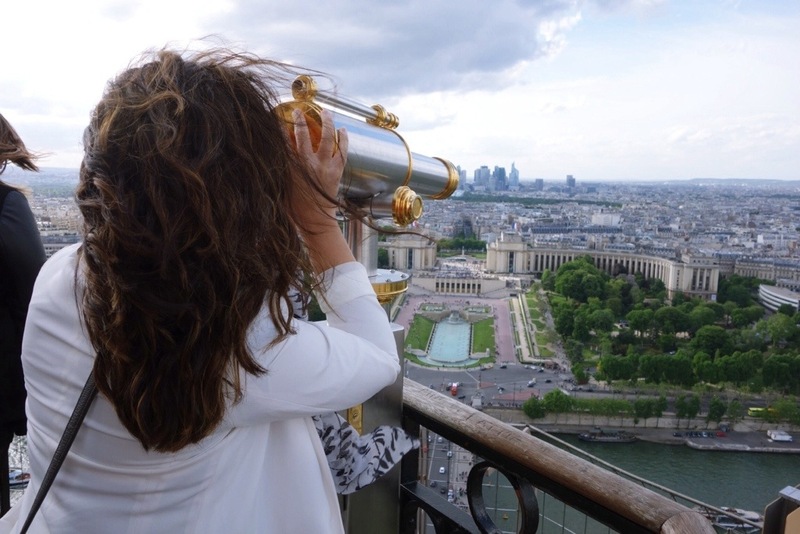 For the best public views of the Eiffel Tower in Paris, head to Jardins du Trocadéro, Palais de Chaillot, Tour Montparnasse and the rooftop terrace of the Galleries Lafayette. More Mary in Paris posts to come! tthe whole thing on the topic of that.